…let’s ask the reason for the recovery of the precious headgear of his predecessors: for example, last Christmas, Ratzinger used mitres belonging to Paul VI, John XXIII and Benedict XV. Since the Pope is the Chief Liturgist of the Roman Catholic Church, bishops and priests should follow his examples. Father Gonzales will be away on Memorial Day, Monday, May 26. No Masses will be celebrated that day. The intention for the 9:00 a.m. Mass has been transferred to Wednesday, May 28. Our total financial assistance for April was $ 3,140.06. This dollar amount includes twinning assistance from other St. Vincent de Paul Conferences. Our volunteers logged in 162 hours of work with various activities during the month. Some of those activities included work with the SVdP dininghall, work with individuals, picking up and delivering food to our pantry,work with the SVdP Newsletter, hosting conferences that provide information of interest to our members to help with our ministry. Are you looking for ways to cut your shopping bill? Why not share coupons with your fellow parishioners! Look for our new coupon trading box in the church foyer. The idea is to take coupons from the box that you can use and to add some that you can’t. Many of us get the Sunday paper but only use a handful of the coupons, now you can share the ones you don’t want by exchanging them for some you do. Restaurant and store coupons can be added as well. If you don’t want to participate but would like to share those Sunday coupons anyway, please feel free to put them in the large envelope beneath the coupon box and we’ll cut them out and add them to the box for you. Also, any coupons that expire will be mailed to military families stationed overseas since they can use expired coupons at their commissary. If you have any suggestions or questions please contact Kathy Church (email – kc2az@netzero.com or 623-878-4708). Confirmation \ Holy Communion Practice—Thursday, May 22 7:00 p.m. in the Church. This is mandatory for all receiving the Sacraments. 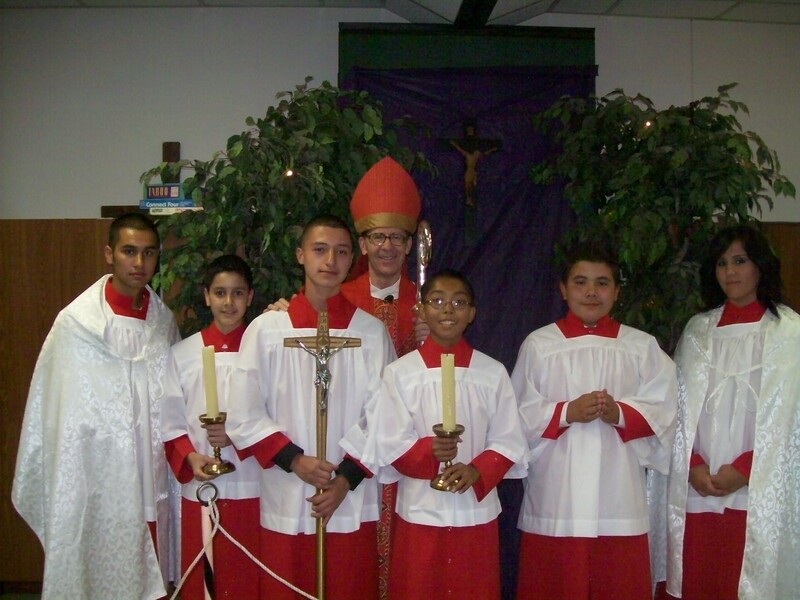 Confirmations \ Holy Communion—Friday, May 23, 7:00 p.m. Reception to follow.